You’ll be teaching busy adults who are used to working towards objectives. You should therefore discuss with them at the beginning of the course what they would realistically like to achieve. This usually means breaking things down into skills: telephoning more effectively, writing more coherent emails, chairing meetings, etc. Teachers should help set these objectives by analysing the needs of the learners early on. This ‘needs analysis’ can then be shared with the learners and referred to as a way of keeping them engaged and motivated throughout the course. Bear in mind though that people’s jobs develop and change, so you may need to agree on new objectives further down the line. A very important part of the needs analysis process should be a discussion about the context in which the course participants need to perform: Why are they learning English? Who do they communicate with in their work and under what conditions? Someone who is learning English just to brush up fluency skills will have different needs and expectations to someone who is learning English to supervise a team working in another country. We should also remember that business is conducted on a global level and there is a strong possibility that your students will be communicating with other non-native speakers. It’s a good idea to research cross-cultural communication and find out how people from different backgrounds do business. You can find lots of resources on the internet relating to cross-cultural communication and there are many books on the subject. To make the right impression, it’s important to teach in a business-like way. This affects what you say, and how you behave, but also what you wear. 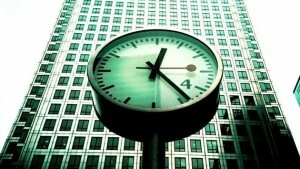 If you’re going to work in-company, then punctuality, professionalism and competence are crucial. Furthermore, business English learners, like all learners, need motivating. A group of managers who have just come back from a long business trip will need their trainer to keep their energy levels high, and as with all classes, there needs to be a certain degree of entertainment. Student talking time (STT) is likely to be much higher in a business English classroom, so ensure there are plenty of opportunities for collaborative task work and speaking practice. Where possible, leave reading and writing for self-study or homework. As in the general English classroom, learners will expect you to bring materials to class. There are lots of books and online resources available, but it’s important to choose materials that create ‘authentic’ situations in the classroom. Probably the most important resource is the learners themselves. They can provide you with real materials from their working lives – the things they need to read and understand, or perhaps even create and present. These could be leaflets, emails, PowerPoint presentations or reports. Learners will probably expect you to take some of these resources and create your own worksheets from them. This shouldn’t be a harrowing experience though! Don’t forget: concentrate on goals and needs. Find out why these resources are important and what your learners want to take away from the lesson. Then come to an agreement with them about how to meet these needs. Business people can have high expectations. They might ask for classes before they start work, during lunchtime or at the end of the working day. This means trainers can end up working long days – perhaps starting the first class at 7.30 in the morning and finishing the last lesson in the evening. In addition, learners may cancel at the last minute because of unforeseen problems: perhaps an important call has come in, or their train is delayed. Although this can be frustrating, business English teachers and trainers need to accept that, for learners in the workplace, work is clearly their priority. To reduce the stress, it can be a good idea to negotiate a cancellation policy with the company in advance – ask them to make sure they inform you 24 or 48 hours in advance, for example. A further issue may be the numbers of people attending class. It’s not unusual to prepare for a group of six to eight people and have only one person show up. Try and create activities that will work on a one-to-one basis.